The women of Impact100 Sonoma share a simple vision: a Thriving Sonoma Valley. 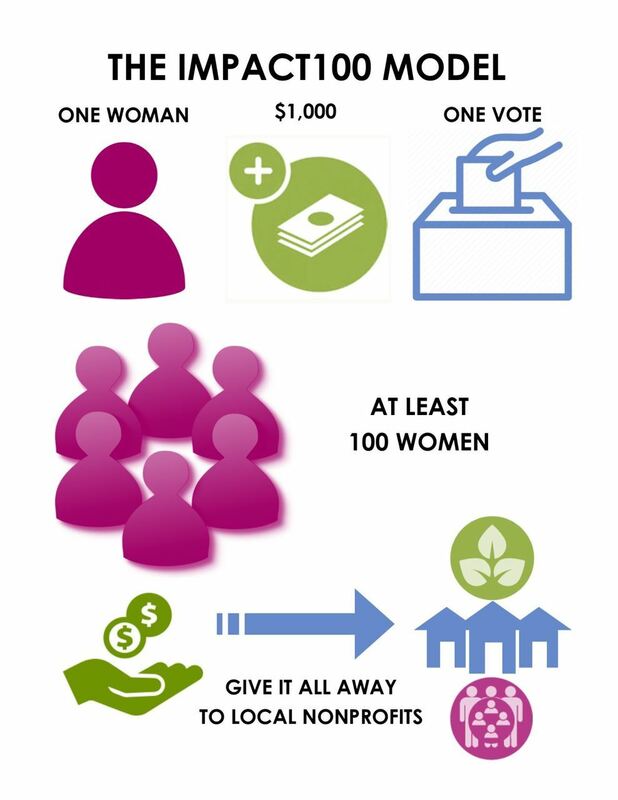 To fulfill that vision, our mission is: Empowering women of Sonoma Valley to invest in a more sustainable nonprofit community through collective giving and responsible stewardship. Each member makes an annual donation of $1,000 or more that is fully tax-deductible. Nonprofit organizations that serve Sonoma Valley apply for one or more grants. Interested members review proposals, make site visits and select finalists. All members vote on which grant proposals will be funded. 100% of every $1000 membership is granted every year. Additional Member Plus contributions support the operating costs of the organization and are essential to our success. Founded in 2009 by Annette Lamont and Christine Dohrmann, Impact100 Sonoma was the first Impact100 launched in California. We are unique in that the community we support, Sonoma Valley between Schellville and Kenwood - in the heart of wine country at the northern edge of busy San Francisco Bay, is rural and agricultural with a population of fewer than 50,000 people. Like every community, ours has challenges that require the leadership, hard work and wise hearts of individuals and organizations to support our neighbors and our natural resources. Since 2010, we have funded a $100,000 Impact Grant every year. As our membership has grown, we were able to increase our vital support by also offering annual Community Grants between $5,000 and $20,000. Impact100 Sonoma does not work in isolation. We partner with other grant-making organizations, foundations, individual donors and nonprofits. Education and collaboration are essential to our mission. Every year Impact100 Sonoma hosts symposiums and workshops to educate our members, nonprofits and community partners. As we come together and learn from each other, ideas ignite, collaborations form, mutual respect grows and our entire community benefits. Impact100 Sonoma is part of an international community of Impact100 organizations, the Impact100 Council, and we are a member of the Women's Collective Giving Grantmakers Network. Impact100 Sonoma is incorporated in the State of California as Women Giving as One, Inc. and is registered with the Registry of Charitable Trusts (Department of Justice of the State of California). As a Section 501 (c) (3) organization, we are classified as a public charity and contributions are deductible under section 170 of the Internal Revenue Code. Impact100 Sonoma is also qualified to receive tax deductible bequests. Our tax ID number (Employer Identification Number) is 27-0845497.